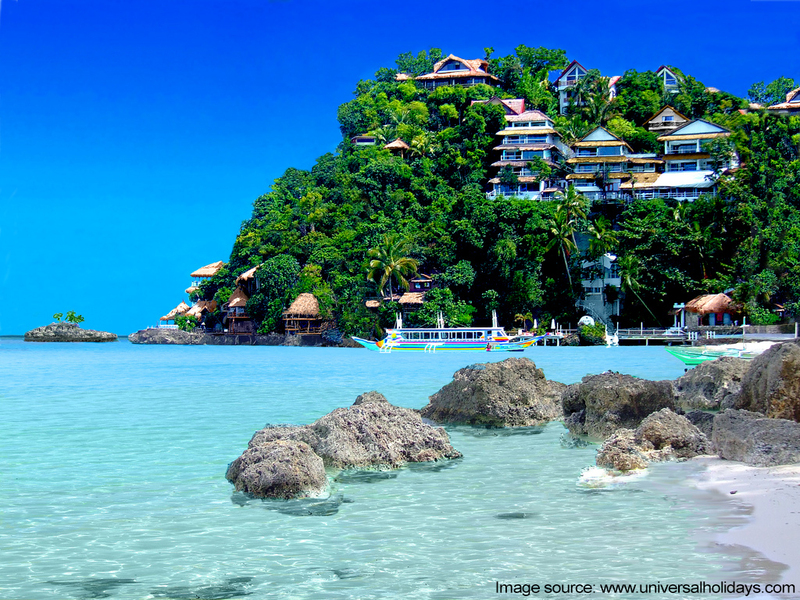 Many of us think that Boracay is one of the most expensive beach destinations in the Philippines. As a lot of celebrities, rich local tourist, and foreign tourist go there every summer and holidays. Having a vacation in Boracay is a once in a lifetime experience for others who have a tight budget. That’s the way of thinking that I’m going to change in this article. Actually, Boracay is just like any other vacation places in the Philippines that it does not have to necessarily be a too-expensive-trip if you just know how to save money while travelling. It’s great to have your vacation during holidays of the year and summer vacation, but actually, going to the beach on those seasons is like a beautiful nightmare on your pocket. So go on a vacation during Low Season where cheap Boracay packages are all over the internet and Boracay accommodations are almost half of the original price unlike during Peak Season and High Season where all the prices are more than doubled or even tripled. Since Low Season is also known as the rainy season, the number of tourists around the beach aren’t as many. That’s also the reason why travel agencies are giving away many promos just to have inquiries. If you are worrying about going to the beach while raining, you must read my article about How to Enjoy Boracay during Rainy Season. There are a lot of hotels and guest houses around Boracay. If you really want to save money and you only want to enjoy the beach and are satisfied with a small room where you can stay in after a long day, you can choose guest houses instead or small rooms in a hotel. 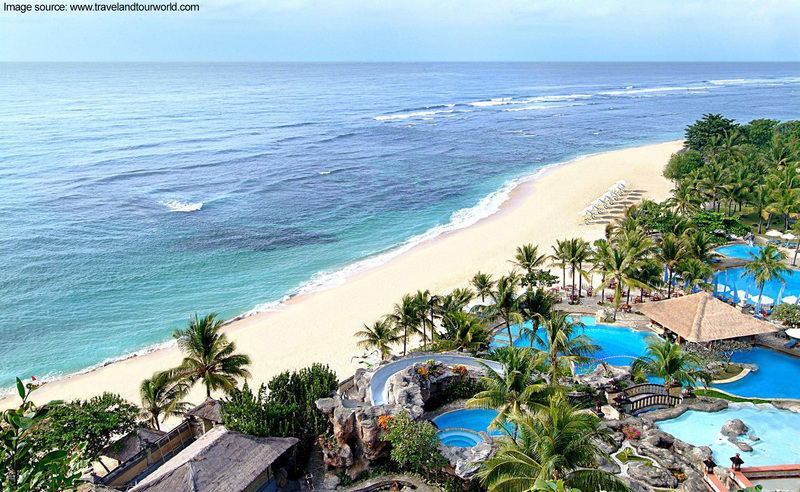 Luxurious hotels are usually located in Station 1 where the main beach is. The prices of the hotels there range from Php1,000 to Php4,000 per night. While on Station 2 and most of Station 3, you can get Php600 worth of hotel accommodations. It is better to come as a walk-in guest so you can haggle. If you’re going to haggle, you can say that you’re going to write a review on Tripadvisor.com about their hotel so they can give you a cheaper price. There are many restaurants and food stands around Boracay. To save your money while filling up your stomach, you can have your dinner and lunch on carinderi’s around D’ Talipapa and D’ Mall (carinderias sell home cooking dishes). Or buy food on many letchon manok outlets. You can also go to Crystal Cove, where you’re going to pay 500php for lunch buffet and cliff diving. You don’t have to worry about your breakfast since many hotels include a free breakfast meal with their accommodations. 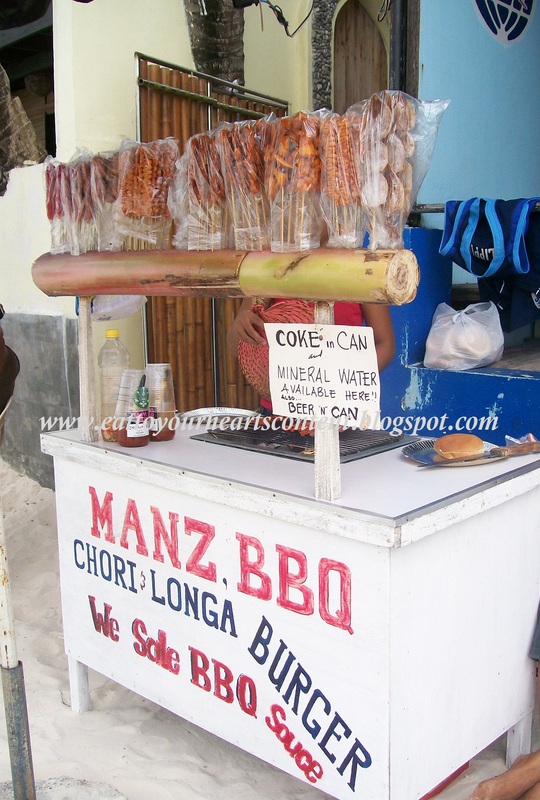 For merienda, you can try the longga burger for a change that you can buy on many food stands around the beach. You can test your haggling skills when you want to do water activities. Haggle all you can, some operators increase their price of foreign tourists, so if possible, don’t do activities with foreign tourist. You can haggle on helmet diving to include a free CD with video of your activity for a very cheap price. 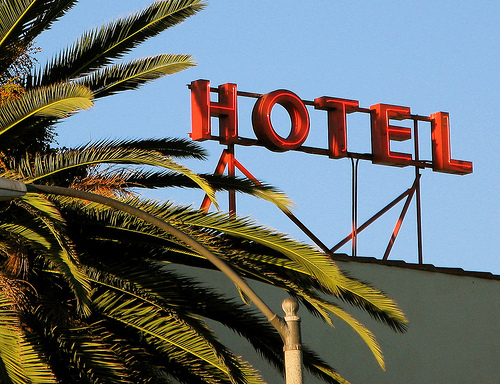 You may also like to read my 5 Tips to get a Cheap Hotel Accommodations. 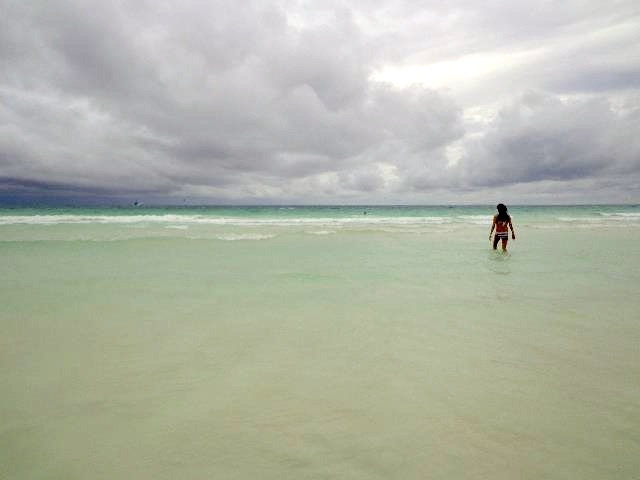 How to Enjoy Boracay during Rainy Season? Starting from April to May, summer in the Philippines begins; right around when Lenten season starts, too. Usually, local and foreign tourists love to have their vacation on the beach while others like to go to places with pretty cool temperature even in a very hot weather like Baguio and Tagaytay. When we talk about the beach, Boracay Island in Aklan is the number one summer destination in the Philippines. Water and land activities are common ways to enjoy the beach and the heat from the sun. For backpackers like me, this is what we call paradise. But then again, for backpackers like me, summer season, also known as peak season, is a bit expensive for us. This is also the reason why others may see Boracay as a “it’s too expensive” vacation. For travelers and tourists with strict budgets who want to enjoy Boracay, off-peak season is the best time for us. Off-peak season starts around July to October. Yes, we all know that these months are also the rainy season; that’s why it was called off-peak season; the inquiries for travel agencies are very low (alternatively, low season). Why is this the best time to travel? Because the price for Boracay accommodations and packages is cut to almost or more than half of its original price while in peak season, prices raise to double. 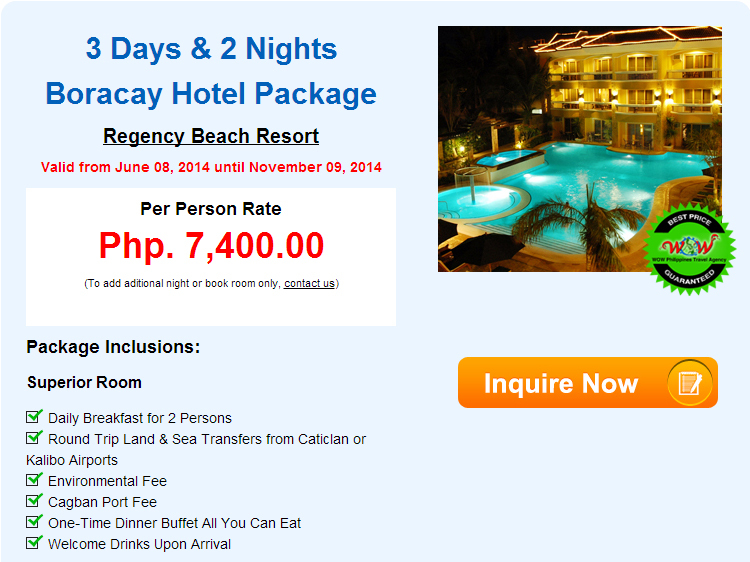 During low season, the cheap Boracay deals are flooding around the internet! If you want a cheaper price, try to walk-in and haggle for hotel accommodation (Hello fellow kuripots! Haha). Another good thing is the numbers of tourist around the beach can count with your two bare hands, so you might enjoy the beach alone and you can also do all you wanted without any hesitation. But how can we enjoy Boracay when it’s actually raining? Worry no more my friend, that’s why I made this article—for you to know how. Check out this list of activities that you might enjoy even when raining. Enjoy! Underwater activities. 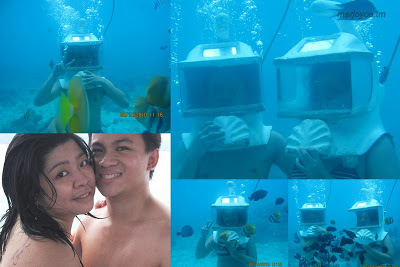 Rain doesn’t matter for underwater activities so you can do Helmet diving, and snorkeling. Watch the beautiful corals and fishes as they swim toward to you when you give them food, which is mostly stale bread. Do the Zorbing! 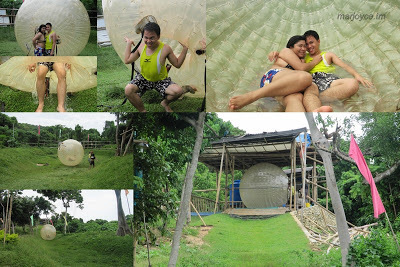 Why is Zorbing fun when raining? Because you’re going to roll downhill in a wet and slippery slope so it will double the speed of the Zorb. 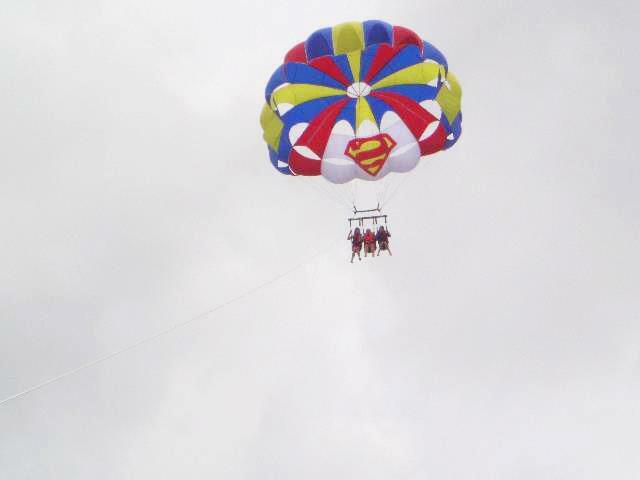 Windsurfing and Parasailing. Since this water sport activities require the participation of the wind, this is more exciting to do when it’s raining where there’s a chance of strong wind; just be ready to be freeze (haha). Can you take the challenge? *Safety reminder: Avoid doing outdoor activities during heavy rain where the wind might cause a heavy wave. It could get very dangerous. Strong winds for air activities maybe fun, but don’t risk your life if you can see the danger along the way. Don’t worry; there are many indoor activities that you can also enjoy. I’m pretty sure that your vacation is all about trying interesting activities. Be amazed with the mesmerizing view of the white sand beach, enjoy, eat delicious delicacies, and relax; now is your chance to do so. Massage. There’s nothing more relaxing than taking a massage while raining. Shop in D’mall and D’talipapa. Since the number of tourists are not that high when raining, the chance of getting what you really want without any competition around is very high! 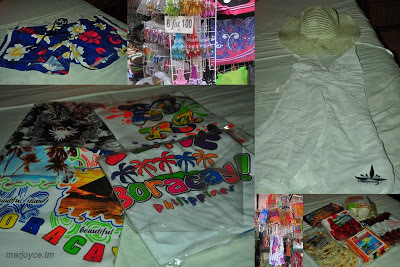 From souvenirs, beach dresses, and even pasalubong. Don’t forget to haggle*wink*. Foodtrip. In every corner of the beach there are many restaurants, bars, and food stands. Have you ever tried a Longga-burger (Longanisa burger)? This is made of slightly sweet and spicy pork sausage grilled over charcoal. The unique taste of this burger is only available at Boracaylocal food stands. Party. Boracay nightlife is all about partying. 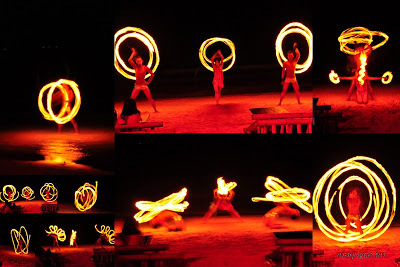 Watch the incredible fire dancers and warm up your body with alcoholic drinks. Partying all night will complete your vacation. Forget about the tiring headache the next morning and just enjoy the party with your old friends or new found ones. Join in on the music and noise and just enjoy the show and good company. Cheers! 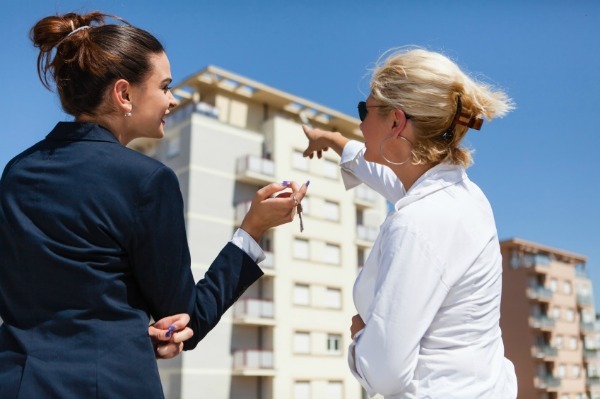 Does having those reasons are enough to just buy a condominium? Come to think of it, many of us are dreaming of living in a condo as we imagine that living in such a home makes us feel more comfortable, especially in terms of security; sometimes we think that a condo is something that others may see as a symbol of a luxurious life. That way of thinking makes other people just go on ahead and buy a condo without even having a second thought or checking the most important components (value, location, amortization, etc.) of buying a property. And when the deal is already done, you might tell yourself “Oh boy…why did I buy this condo? It’s more trouble than it’s worth”. So before your decision makes you miserable (errr..), in this article, I’ll give you some pointers you must know before buying a condominium. Oh yes, this is the most important, folks. You must know the location first. If you’re looking for a condo for the sake of your work, well of course you must choose a condo located somewhere near your work place or at least around the area. Also, you must consider the availability of transportation. If you find a condo that is only a walking distance away from your work place, the better. If not, at least it should be near or a few steps away from an MRT/train station or the bus stop. Kallang Riverside in Singapore is one of the great choices. But if you’re not living in Singapore and you own a car, traffic is your enemy. Also consider if there are convenient stores nearby. By any chance, if you just want to buy a condo to be independent, a place around the city is the best choice, since all you need (I guess) are already there like Malls and theme park. Now that you know the right location, hurray! Come inside and look around the place. Ask for an agent who can tour you around. Usually, condos have their own swimming pool (some have their main pool, lap pool, children’s pool, and Jacuzzi), gym, BBQ pits, sauna, and playground. Luxurious condos also have clubhouses, function rooms, tennis courts, gymnasium, bar and restaurant, and open terrace. Choose a condo that has all your needs. If you have a strict budget, still go to a place with enough amenities to make everything worth the pay. In addition, the ambiance outside the window may also help to take away your stress so if possible, choose a best spot where you can see the view of the city or the lush greenery outside your window. This is also very important; security is a must when choosing a condo. 24-hour security surveillance/CCTVs around the building are bare minimum. You can ask your agent for more details about this. Consider buying a condo in terms of the future. We can say that buying a condo is easy; as long as you know what you like, it has all you need, and as long as you have the budget for it, you’ll be OK. Selling a condo is the hardest, though. When the time comes that you need to move for whatever reason, there is no sure-fire way to easily sell it. Selling a small unit may be difficult while larger units may cost a little more, but it will return a greater amount. Most importantly, as long as you take care of the unit carefully, or lavish it up, you will only be adding value to it and thus bigger returns. Recall all you did when you were the one searching for a condo; you might use it as an asset of your unit. “It was a great place! I can see the whole city outside my window and it was really relaxing. There are convenient stores and theme parks nearby. Also, there are a lot of facilities around that you might enjoy,” or something to the like might get might buyers’ attention. If you are a Filipino, raise your head and be proud as one of our country’s prides, Boracay Island in Aklan, is named as one of the best beaches in the world and took the 1st spot in TripAdvisor’s 2014 Traveler’s Choice Award: Top 25 best beaches in Asia. TripAdvisor is a popular and trusted travel website where every traveler gives their reviews on the hottest vacation destinations. It is also a site where you can search for the best places to go to with tips for traveling, budgeting and activities. TripAdvisor described Boracay’s cost as having “White, powdery beach sand that doesn’t get hot even at high noon. It is really amazing”. Being awarded and recognized like this, and to think that there are millions of people giving good reviews for our very own Boracay, as a Filipino, it comes to me as a pleasure. I guess the hotel accommodations, white sand, water and land activities, nightlife, interesting sceneries, and cheap Boracay packages caught the eyes of every traveler to come back and choose Boracay. Oh, and let’s also not forget how beautiful the Filipinos are. Aside from the white sand beach in Boracay, TripAdvisor also awarded the Secret Lagoon beach in El Nido, Palawan the fourth spot and Yapak Beach in Boracay in the sixth spot.Well, it’s really “More Fun In The Philippines”, as the famous catchphrase goes.Recently, the same website gave the 19th place to Boracay on their Top 25 Beaches in the World 2014 where Baia do Sancho in Brazil got the 1st spot. Considering the number of beaches there is in our planet, getting the 19th spot ain’t half bad! Check out the list of Top 25 best beaches in Asia 2014 here and the Top 25 beaches in the World 2014 here. This condominium is suitable for people looking for a place at the heart of the town with a waterfront lifestyle. The Sail is the tallest condominium in Marina Bay with 245m (804ft) in height. It has 70 floors and 1, 111 luxurious units. All your needs are here in The Sail. This is also near at the Raffles Place MRT Station and close to Lau Pa Sat Festival Market and Boat Quay Facilities at Marina Bay. Caribbean is developed by Keppel Bay Pte Ltd is a place to escape the hustle and bustle of the busy city of Singapore with over 969 residential units, lush greenery views of Mount Faber and Keppel Golf Club, and the stunning seascapes. This luxurious condominium is located at the 4 Keppel bay Drive, Singapore 098635 in District 04, 500 meters away from Harbourfront MRT station. Clubhouse, Function Room, Open Terrace, Tennis Courts, Lap pool, Multi-Purpose Court, Games Room, Residents’ Lounge, Jogging Track, BBQ Areas, Children’s Pool, Courtyard Fountains, Steam Room, Gymnasium, Fitness Area, Main Pool, Jacuzzi and Children’s Play Areas. Cavenagh Lodge is like a replica of a resort developed by Far East Organization. It is located at 81 Cavenagh Road at District 09, right across the Istana and a few steps away from Orchard Road. Cavenagh Lodge consists of 41 units with large bedrooms and spacious dining area. Residents can spend quality time with their families at the famous shopping belt in Singapore and enjoy the delicious local food at Newton Hawker Centre. Grange 80 is also developed by Far East Organization. This is located next to Grange 70 and Orchard Road shopping belt. It has 10 exclusive units with private lift lobby, air-conditioned kitchen and well-spaced bedroom. Grange 80 also offers complimentary shuttle bus service for their new and existing tenants. 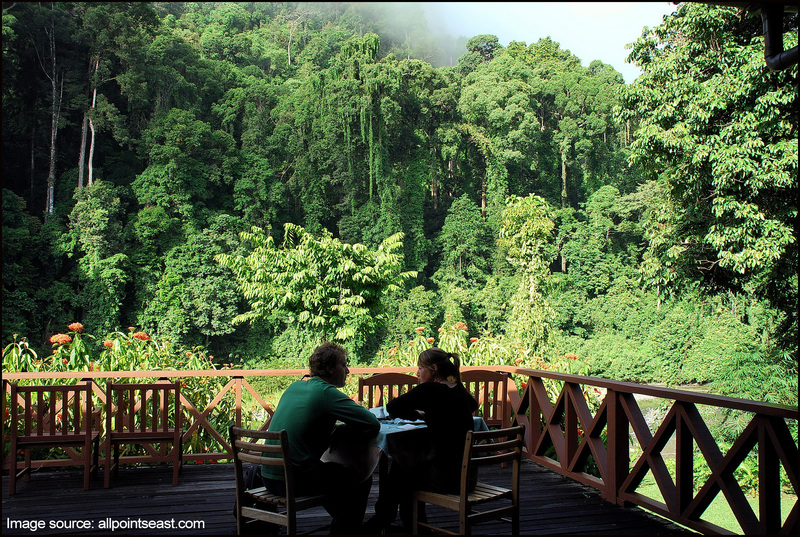 Nassim Regency is a perfect stay for nature lovers. This condominium is surrounded by luxurious canopy of lush greenery, natural foliage, and a meter away to Singapore Botanical Gardens. The freshness of the air and the serene environment it offers is perfect for relaxation. The 31 luxurious three-bedroom apartments are a stress reliever and provide comfort for hardworking people. Its strategic layout also strengthens family relationships because it is similar to a typical bungalow house. 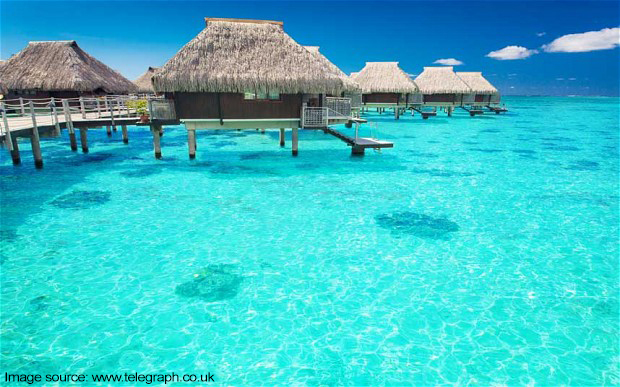 Searching for a honeymoon destination? 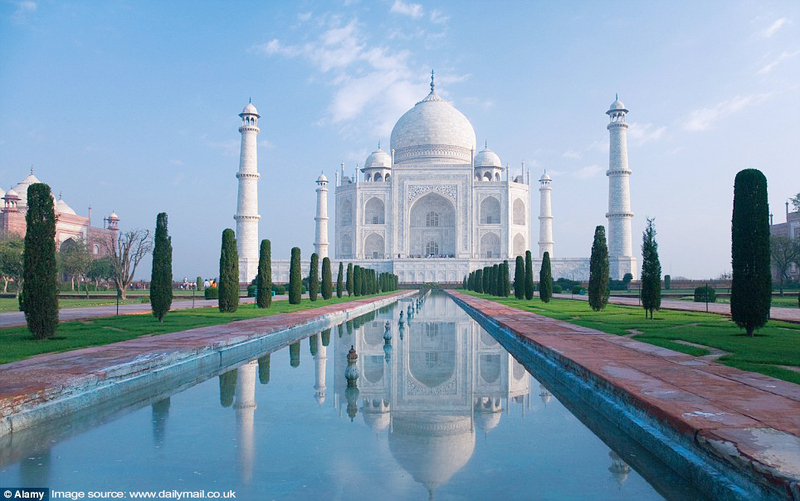 Here are the top 10 best Honeymoon destinations in Asia! Experience the most romantic dining ambiance in Kuala Lumpur’s world class hotels and resorts and visit the largest malls in Asia. Start your romantic day by watching the amazing view of the sunrise on the Sepang Gold Coast. Tour around in the famous landmarks of Kuala Lumpur like the Petronas Twin Towers, the National Palace and Batu Caves. At 1, 453 feet, the Petronas Twin Towers are known as the tallest towers in the world. Be amazed at the landscape and lush greenery at the National Palacewhere royal soldiers guarding the main gate (and don’t forget to take a picture with them too). The Batu Caves are home to an impressive golden structure of Lord Murugan with 272 steps and playful cheeky monkeys at the top. 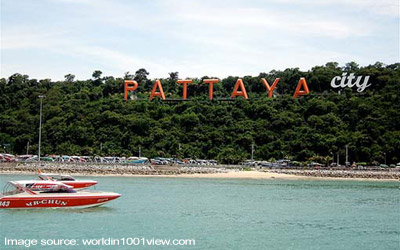 Pattaya has it all; recreation, entertainment, sports, and sightseeing. For newlyweds who love land and water activities, Pattaya, Thailand is the best honeymoon place for you. Offering their wide beaches, water sports, the finest hotels and resorts, and the famed naughty nightlife scene. Visit and experience the local atmospheres in Pattaya such as Pattaya Floating Market, Elephant Village and Tiger Zoo. Though Maldives is known as the smallest country in Asia, the floating bungalows and honeymoon hotels and resorts that are set on the bluest water make this country listed as one of the best honeymoon destinations in Asia. The mesmerizing views and the most relaxing spas make every couple feel like they want to stay here forever. Boracay Island in Aklan is not only famous as one of the top summer destination in the world, but it’s also well known as one of the top wedding and honeymoon destination globally. Experience the most prestigious hotels and resort accommodations in Boracay. There are many honeymoon spots in Boracay from station 1 to station 2. 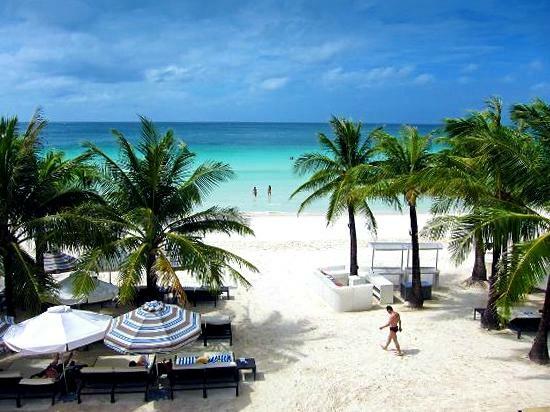 The white sand beach, water activities and famous landmarks are why Boracay is popular among tourist and locals alike. There are many couples who choose to spend their honeymoon in Macau. 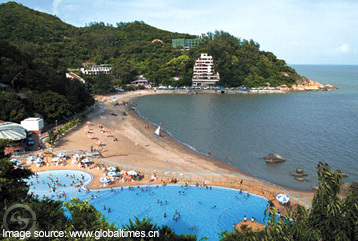 One of the main reasons is the exotic land of Coloane Island. The natural beauty of this island offers beach side activities, lush greenery, and romantic sceneries around the coast. Located at the westernmost end of the Lesser Sunda Island in Indonesia, Bali is known for its highly developed arts such as traditional and modern dance, sculpture, leather making, music, metalwork, and sculpture and painting. If you want to escape from the busy and madding crowd, there are many places in Bali that’s good for you! Visit the Legian, Seminyak and Sanur beaches and enjoy the peaceful and romantic moments with your love. Hold hands and watch the sun set on this beautiful island of Bali. The best honeymoon spot in South India and the Evergreen Paradise on Earth. Experience the green tea gardens and high altitude destination from where you can see the glistening lights of Thenai and Madurai, both of which look like stars shining in the dark moonless sky. 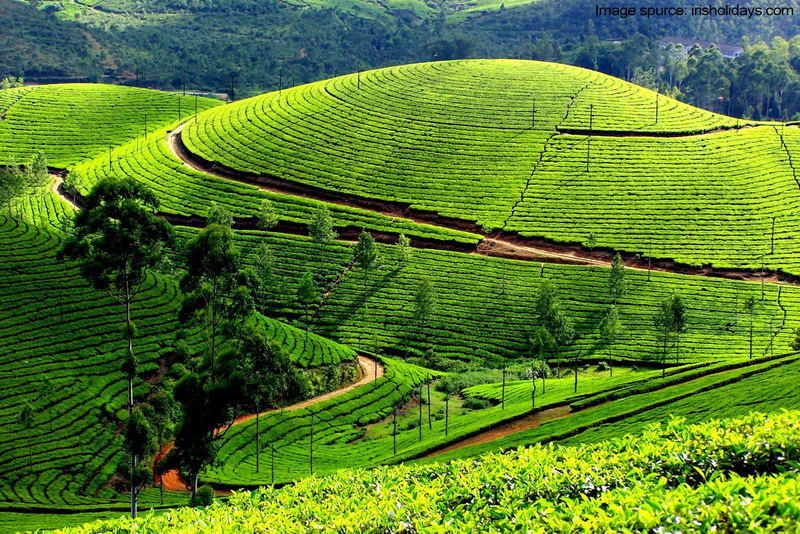 Take in the magnificence of the mountains of Munnar. Meditate at the summit of calmness at CSI Church at the peak of Munnar or at the underground meditation center of the Blossom International Park, which has a 1,000 foot long fountain and roller skating rink. There are only two places left in the world where you can find wild orangutans and one of those places is the nature lover’s paradise, Borneo, Malaysia. Borneo is divided into two states, the Sarawak and the Sabah. The Rainforest discovery center in Sabah, which is the world’s environmental education center, has been open since 2006. Trekking is not the only thing you can do in Borneo; you can try their world class scuba diving sites. Be stunned by the underwater adventures while playing with the turtles, hammerhead sharks and whale sharks. If you are looking for a hilling terrain which offers enthralling scenery of oak fringed slopes and coniferous forests, Auli is the best place for you. During the winter, Auli is also known as the snow sports destination. 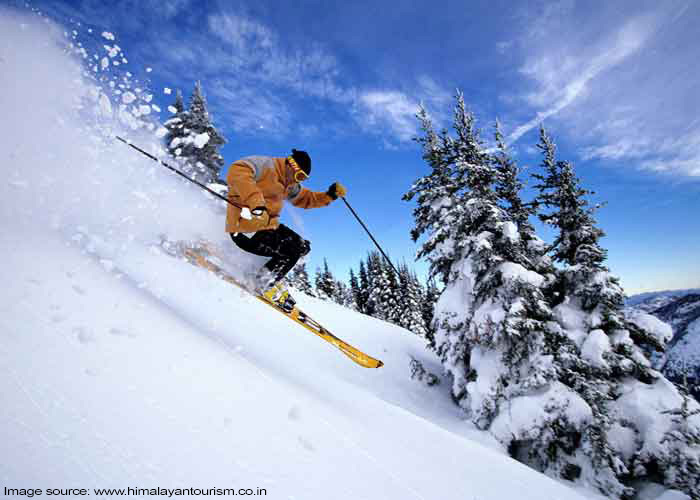 Enjoy skiing and other snow sports at the natural slopes in Himalaya’s snow clad with a 270 degree view. Hot Spring Point and Chenab Lake are also famous destinations in Auli. Last May 1, 2014, there’s a couple who exchanged their vows in the island of paradise, Boracay. TV host-model Kim Jones is a Filipino-British that grew up in Australia cought the heart of one of Philippines’ most outstanding TV and movie actor, Jerico Rosales. Jerico and Kim met at a group dinner set by their common friend Dominic Ochoa who is also an actor. The two have dated for two months and then became an official couple last 2011. On August 4, 2013, in the middle of their Sunday service in the New Life Church in Alabang, Jerico borrowed five minutes from the pastor’s time and started speaking onstage and proceeded to propose to Kim. The pastors gave their blessings and prayed for their everlasting love. They say that Kim’s affection for children and her sweetness are what won Jerico’s love the most. Jerico and Kim decided to have their wedding at Shangri-La’s Boracay Resort & Spa because of the quality of their Boracay accommodations and services. They even reserved the three places of the beach hotel. The actual wedding ceremony happened at the Cielo Open Air Resto for cocktails and at the beach front for the dinner and program. Jerico and Kim were both emotional while they said their vows. In the video, you can see the happiness on their faces and the support of their friends and family. The 8 minute video shows the highlight of their wedding and also features the couple’s and the guests’ other activities such as playing volleyball, dancing and fooling around, all taken by videographer Bob Nicolas. In the first week of June, the newlyweds had their chance to spend their honeymoon in Tokyo. Kim said, “We want to travel. We want to see the world together as a married couple. We just want to be together”. This year, Jerico and Kim are planning to go on Jerico’s professional trips in Europe and US together. This just proves that the two can’t be separated from each other from now on which is kinda sweet, really. Let’s congratulate the newlyweds and wish them all the best—cheers to more love and a happy life. Wanna have a relaxing vacation, but have no budget for it or can’t afford hotel accommodations? Well, let me give you some tips that may help you to get a low price deal with good services for hotel accommodations. Christmas, Lenten and Summer—these are the seasons where most of the hotels are jacking up the rate of their rooms, especially those located on the beach seaside which are very most common travel destination. During peak season, there are many local or foreign tourists around the beach who’re willing to pay for high rates for accommodations. But many of us are not like them. If you want to save money and have limited budget for a travel vacation, you must know the right time when to go. Go on a vacation around midyear when kids are in school and others are done with their vacation. But be updated on the weather since June to August is usually rainy. There are some hotels that offer some promo discounts when the number of tourists is lower than the rest of the year. Search and subscribe to hotel membership promotions that can be used at any of their local and international branches. Being one of the loyal members of a hotel has many advantages. They will give you standard discounts and freebies among others. Some hotels with membership privileges come with points per booking that can be redeemed as a reward or benefits for your next booking. Usually, hotel members also get high priority service. If you strictly have a low budget and that you only want to have a break free from stress and relax in one place for a week or so, consider a self-catering accommodation. This means booking with a condo unit that offers leasing or on a guest house where you can stay with other guests. Guest house-ing is like renting a room in one house and sharing a common bathroom with the other tenants. If you’re not choosy, plan to stay in a hotel for a whole day, and if you can live without concierge, restaurant, bar and wifi, then include this in your option. Choose a place that is in the vicinity of many bars and restaurants or a place that is near the central market. Also include some food that can be stored and eaten easily, preferably canned or bagged food like chips, sausages, soda cracker or canned tuna. Search for a hotel with good services over the internet then starts negotiation over the phone. Speak with the friendly manager or a guest relation officer then ask if they can give you a special price as a first-time guest. Also ask if they have or can give you a special package that counts out the rates for the amenities that you don’t plan to use such as spa, gym and swimming pool. If your vacation is on the beach, you don’t need a swimming pool, spa, and gym. I’m pretty sure that you will have no time to use those since there’s the beach and other land activities around the beach that you can spend your whole day doing. Nowadays, there are many travel agencies offering tour packages for vacations and getaways. Vacation trip to Palawan, Camarines Sur and Boracay accommodations are the most common deals that you can get online with some inclusions such as outdoor activities and a tour around their landmark places. But make sure to engage only with a trusted agency by checking to their company background so read reviews that can also be found online. Some travel agencies require a minimum number of people for a deal. The more the merrier, so why don’t you to come with your friends? This can also lessen the bills you’re going to pay by sharing the accommodation fee with your friends. Filipino Teen Discovered How to Convert Electricity by Walking. Make Your Phone Dunkable in Water.